Once we master meditation and let that skill set transcend into our daily life practice, our ability to not be so sensitive to ego and false self is actualized. We are able to establish a balance or baseline of energy that remains positive to neutral in our thoughts, emotions, actions and reactions; even during negative life situations. The objective is to suffer less. Just like in meditation, the goal is not to be the thought or let a thought drive our meditative focus – the goal is to simply be an observer. In doing so, we are more of a witness and less of an actor. In life, we have the same choice; particularly in times of conflict and challenge: With minfulness, we can leave our ego facilities out of such dramas and simply be a witness to the story instead of being embroiled in the drama as an actor. Such changes in how we think and react to conflict and challenge will net completely different results. Now, the goal is not to be a by stander and live with no interaction. We all have to face challenges and conflict on a daily basis – the goal is to not let challenges or conflict be the driving energy to our reactions to such events. Be an observer and be mindful of how our egos and false-self want to take such dramas into a negative space. By being an observer, we also create space between the sitation and our immediate action or reaction; all in an effort to avoid negative blind responses. When you detach from a situation of conflict or challenge and face difficult situations with mindfulness and true nature you will find the most proactive solution. Be the witness and not the actor. Let mindfulness, space and clarity be your source of intent. John C. Bader is a photographer, wellness advocate and consultant specializing in spiritual self-evolution, meditation, and bio-energy healing. In his writing, he bridges science with spirituality and provides steps to encourage more mindfulness in daily life. 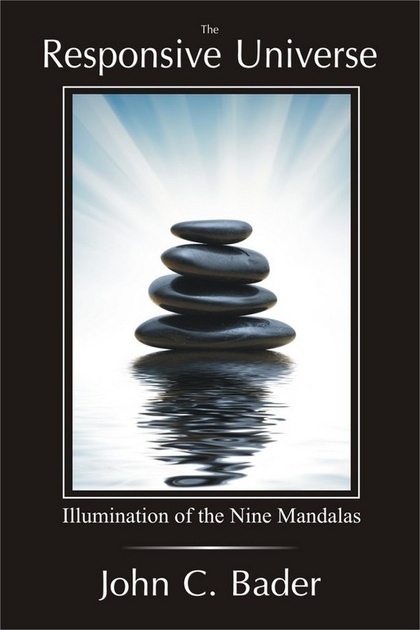 His new book, The Responsive Universe – Illumination of the Nine Mandalas is a step by step process on how to begin your very own Hero’s Journey. Is it as simple as, one day a participant in life’s daily drama, and all of the sudden realizing the role as an observer or, can this happen in degrees? Can it possibly depend on current interaction, and situations? That is, while you become better, and better at becoming the observer can different situations, and social interaction upset that observer resulting in common displays of human emotions including anger, etc.? yes – I would agree it can be all over the board depending on the vulnerabilities and variables in life and the challenges thrown our way. Each day is different and each situation is different – still if there is some sort of mindfulness that allows you to at least acknowledge the ego vs True Nature, there can at least be a pause in action and reactions – hopefully resulting in the most proactive results.